Simplicity in website development not only wins customers but also gain their confidence. Every people like simple website over a complex one. We, at Matebiz also believe in simplicity over complexity as small is beautiful coined by McCarthy Company. In fact simple website gives better customers’ experience. People find simple website because it makes their experience friendly. Most of the users come on a website for a piece of information which is very important to them, in that case they don’t want to navigate the website many time to find the information they needed. Therefore a simple website becomes their preference over a complex one. Building a simple but attractive one is sometime easier if it is well planned. The motto to develop a different website must be executed for providing possibly better users’ experience. Following are a few points for making a website development simple without hampering the important features of the website. 1) Well planned: What kind of website development you are looking for must be penned down in advance. You will go nowhere if you don’t know the destination. A well planned process will guide you at every set of the website development. There are many Indian web development companies who take care of the website development processes by a professional Project manager. 2) Have a predictable design: Always try to get a design which is suitable for your products and services, accordingly have the navigation developed of the website. Always choose the navigation which is easy to use. 3) Contents of the website: Contents as well as themes and images on the website must justify the products and services offered by your website you are going to get developed one. 4) Do not have unnecessary web pages: The page and the size of a website depend upon the nature of the business for which the website is being developed. All the features needed on website such as RSS feed, Newsletter, CMS pages etc. Like a simple blogging website has a few important pages while an e-commerce portal has many pages. Never try to have unnecessary web pages on the website. Most of the websites development companies will suggest you one the same. Also choose suitable colors: The colors of the web pages as well as themes must be according to your products and services. 5) Website development company: Last but not the least. 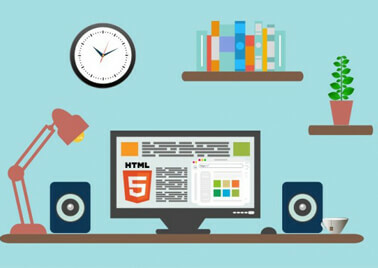 Web Development Company to which you are going to hire must have expert website developer who can give your website a customized design and development. If you are looking for competitive pricing must search for Web Development Company in India and you will have better one. Matebiz is a leading web development company based in India. We develop excellent website, we have professional developers who deliver the best development. We offer ecommerce development, wordpress development and custom development.